The Customer Engagement Academy (CEA) exists to provide the global health and fitness industry with a go-to, robust, reliable resource for learning and development in customer engagement. Our ultimate goal is to help support operators to provide their members with exceptional club experiences which lead to business success. The Academy believes in the importance of operators developing a deep understanding of customer engagement based on real research carried out by experts in the field, quality member feedback and real-world examples of best practice. TRP's research over the past 4 years has shown us that engaging with members is incredibly important to an operator's success. One of the founding principles of the CEA is a belief that in order to be successful, operators must continuously seek opportunities to learn and develop; reacting to an ever changing health and fitness environment to stay at the top of their game. The CEA blog and research repository exist to help meet this need and provide quality resources, robust research and actionable tips, ideas and examples of best practice for your continued professional development. 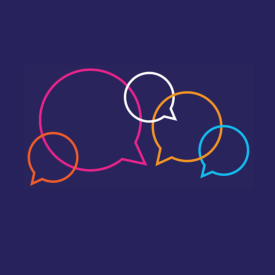 Check out the CEA blog to discover our tips for delivering exceptional member experiences which create raving fans of your business. A quick and easy read, these snappy little posts are bursting with great ideas to implement in your club! Industry-leading research into the relationship between member behaviour, characteristics and club experience and loyalty for you to learn from and apply in your club. Available to download completely free of charge! In April 2018, we conducted a survey of operators within the global health and fitness industry about their engagement with their members. Read the survey report to learn how the industry engaged with members in 2018 (with specific focus on social media and email), how operators measure the effectiveness of member engagement, and their plans for developing their member engagement in 2019. Our 2019 survey and report are now underway and will be released in the summer. 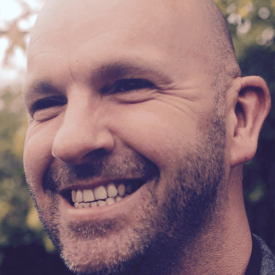 Daniel has over 15 years’ experience working in a variety of roles for local councils and leisure trusts – most notably his 12 years at GLL where his last role saw him develop the business model around the Swim School brand to make it one of the largest in the world. 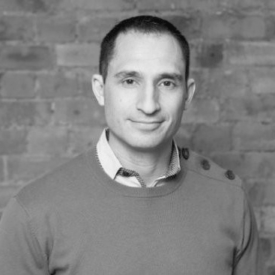 In 2015, Daniel made the move from operator to supplier when he took over the running of TRP’s sister company, leading sports course management software providers, CAP2, as General Manager. Daniel’s background in coaching, degree in Sports and Exercise Science, as well as senior experience within large leisure operations has helped him grow CAP2 on many levels. Now Managing Director for both TRP and CAP2, Daniel is looking forward to utilising the research produced by the CEA to support the industry in getting more people more active more often through the delivery of exceptional club experiences. Daniel loves engaging with his teams and is starting to speak externally about this and the associated best practice. Daniel is married with two children who both love taking part in as many different sports as they can. Melvyn started his fitness industry career as an instructor at the Hogarth Health Club in 1986. Following a period as fitness director for LivingWell, in 1992 he moved to the NHS where he spent 3 years developing a specialist exercise facility for clinical populations. In 1995 he stepped into academia and was awarded a Ph.D. in exercise interventions in 2000. He is now an Associate Professor of Exercise and Health Behaviour at the University of Exeter. In 2000, Melvyn approached the FIA and challenged them to establish a standard measure for membership retention and a benchmark figure for the industry. The results of the subsequent research were published in 2001 in a series of six reports entitled Winning the Retention Battle. Melvyn’s research into retention and attrition has led to the development of appropriate measures which provide data for operators that can directly inform business decisions. The research has been presented at numerous conferences in the UK and abroad including the IHRSA annual conferences in the US and Europe. Multiple club operators and industry bodies have benefitted from Melvyn’s expertise in identifying the determinants of retention. In 2013, in partnership with TRP, Melvyn started the TRP 10,000™ study. TRP 10,000™ is the biggest and most comprehensive survey of member behaviour and retention ever carried out in the health and fitness industry. 10,000 health and fitness members completed a baseline survey of their exercise habits and membership behaviour between July and September 2013. During regular intervals over subsequent years, they have been followed up and the results of the research have been released in a series of features in Health Club Management and via the TRP website. Melvyn continues to work closely with TRP to this day in their production of research released through the Customer Engagement Academy. 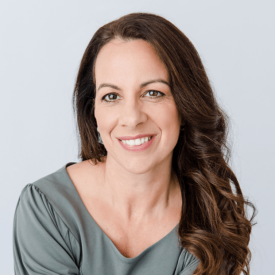 A senior figure with a vast amount of experience gained across the global health and fitness industry, Elaine has spent the past 20+ years in executive roles in Asia, Europe, South Africa and now Australia; where she is currently the Chief Executive Officer (CEO) of Jetts. Having led Virgin Active to the honour of Deloitte ‘Best Company to Work For in South Africa’ during her time with the organisation, Elaine is a passionate advocate of company culture as a source of competitive advantage. Outside of her day-to-day role at Jetts, Elaine is a keen blogger (you can read her blog at culturehacker.com.au) and accomplished educational speaker. 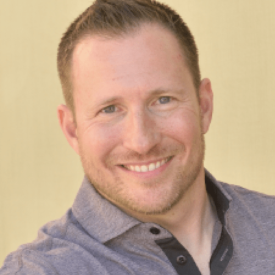 Chris Stevenson is the owner and founder of Stevenson Fitness, a full-service health club in Oak Park, California. The club’s success is based on providing an unparalleled member experience, underpinned by effective staffing, systematic operations, and world-class leadership. This success is reflected in the club’s Net Promoter Score® (NPS®), which is consistently in the 80’s – well above the industry average which sits in the late 30’s. Chris is an international speaker who regularly presents at IHRSA, Club Industry, IDEA and many other fitness and business events. 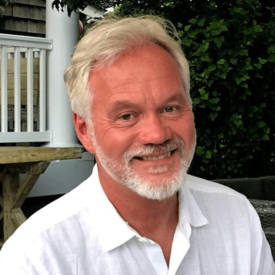 From health and wellness to business strategies, Chris presents viable, applicable lectures that resonate with every audience. 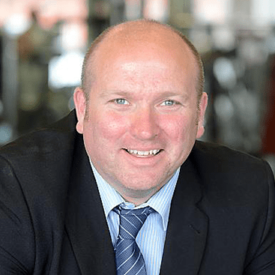 Stuart Martin is the Managing Director of Active Nation – a charity with 16 venues across Southampton, Chorley, South Derbyshire, Runcorn and Lincoln. Stuart’s career in the fitness industry started in 1992 when he was a personal trainer at The Haven Hotel and Health Spa in Poole. He has since worked in a range of regional and group management roles for operators including Everyone Active (SLM) before joining Active Nation and becoming their Managing Director in 2015. Active Nation passionately position themselves as a charity rather than a leisure trust, with supporters rather than members; and have a clear mission (to persuade the nation to be active) and supporting brand values which they live and breathe. In 2018, Stuart was a finalist in the Outstanding Leader of the Year category in the ukactive Awards. 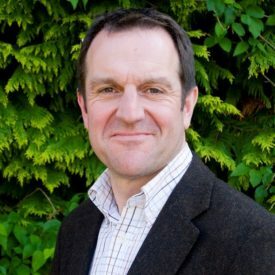 With over twenty years’ experience in the leisure industry, Peter has worked within of all aspects of public and private health club and leisure environments. Since 1995, he has taken up positions at a senior level at large trusts such as Sheffield International Venues (SIV) and Barnsley Premier Leisure (BPL), and more recently in the private sector providing operational management support to companies such as Virgin Active and McDonald Hotels. Peter brings an enviable knowledge of all aspects of the leisure industry whilst maintaining a real-world practical approach to his work. Peter’s current role as Head of CRM for Oldham Community Leisure sees him lead dedicated, often considered cutting edge, sales, marketing, IT and customer service teams for the Trust. 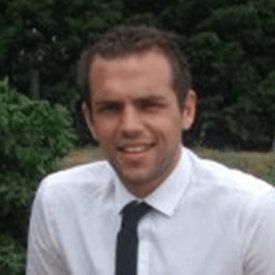 A seasoned professional within the leisure trust sector, Tom has spent the last 12 years in various management positions at organisations across the length and breadth of England and is currently Head of Fitness and Regional Manager at Barnsley Premier Leisure (BPL). With a Postgraduate Diploma in Management Studies, Tom prides himself on his commercial awareness and is passionate about team empowerment and growing an organisation’s strengths through development of human resources from within. Tom is a real advocate of the power of consistent, regular customer interaction; something which is reflected in BPL’s Net Promoter Score® of 65 – well above the industry average which sits in the late 30s. Ken comes from a background of application development. He and his wife, Corinne, founded Long Island, New York based Fitness Incentive in 1984, the dawn of the age of personal computers, and were early adopters of PC technology, implementing a home-grown membership management system in 1985. Since that time, Fitness Incentive has stayed on the leading edge of technology to support a club model that puts communication with the customer at the core of everything it does. The club’s motto “More than a membership…a relationship” neatly encapsulates their approach. Fitness Incentive is also notable for advocating continual investment in its facilities to ensure that the member enjoys the most advanced equipment and class programming, along with exceptional maintenance and cleanliness. As a result, Fitness Incentive routinely achieves a Net Promoter Score® in the high 80’s and has been voted the ‘Best of Long Island’ an unprecedented 22 times. David’s career in the fitness industry started at the age of 17, as a hotel leisure assistant. He spent his early twenties in gym instructor and personal trainer roles in Scotland and the Middle East before becoming a personal training academy assessor for a major private operator. 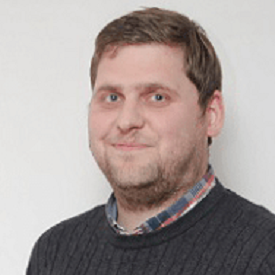 David joined Edinburgh Leisure in 2008 as Assistant Health and Fitness Manager. He is now Group Fitness Manager, defining the strategic direction for how the trust delivers fitness service across the city. David’s passionate focus is on ensuring his members receive the best experience possible so that they want to remain members longer. 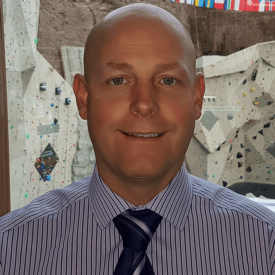 During his tenure as Group Fitness Manager, David has proudly played a significant role in more than doubling Edinburgh Leisure’s average length of stay from 5.7 to 12.7 months! The CEA Customer Experience Awards is a unique initiative created to recognise and reward health and fitness club operators consistently delivering an above average member experience in their facilities, as determined by member feedback and loyalty scores. Click the button below to learn more about the awards and accompanying accreditation; including how they work and what you need to do to win!